(Christopher Maynard @ ConsumerAffairs) The holiday season is nearly underway, and consumers everywhere are gearing up for the annual shopping extravaganza. However, scammers are also eagerly anticipating the chance to lure unsuspecting shoppers into giving up important financial information. The New York Times reports that fraudsters are doing this through fake retail and product apps which can be found in Apple’s App Store. There has been a huge spike in these scam apps in recent weeks, many of which steal company or brand logos to make themselves more convincing. Consumers, looking to buy products from the legitimate source, end up being tricked into putting sensitive financial information into the app. What they can get in return is a compromised bank account and a huge headache. 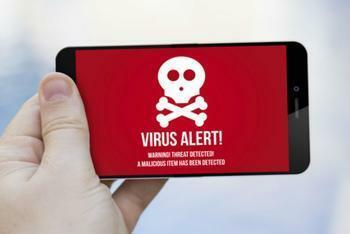 Other fake apps can spam a user’s device with pop-up ads, steal personal information, or infect a device with ransomware – which will lock it until the consumer agrees to pay money to regain access. Critics point out that Apple markets its store as being more secure than its competitors, but the company primarily focuses on blocking malicious software over catching out apps that use another company’s intellectual property – like stealing a logo. This allows many apps to make their way into the App Store under the guise of belonging to a legitimate business. While Apple has a review process for each app before it is published, some of the thousands of submitted apps that are scams can slip through the cracks and harm consumers. Back in September, the company stated that it was starting a review process of two million apps in its store, with the intention of removing "apps that no longer function as intended, don’t follow current review guidelines or are outdated." That process seems to be ongoing, but more and more fake apps continue to be published in the meantime. “We strive to offer customers the best experience possible, and we take security very seriously. We’ve set up ways for customers and developers to flag fraudulent or suspicious apps, which we promptly investigate to ensure the App Store is safe and secure. We’ve removed these offending apps and will continue to be vigilant about looking for apps that might put our users at risk,” said Apple spokesman Tom Neumayr. As more and more shopping moves online and to the mobile sphere, experts say that it will ultimately be up to individual brands to monitor how their name is being used. Apple is constantly trying to purge harmful apps, but many end up being modified, resubmitted, and recirculated. Still, there are many ways that consumers can check to see if an app they’re downloading is a scam. The language used to describe the app in the App Store, or in the menus of the app, can often be scrambled or nonsensical. Seeing many grammatical or spelling errors is always a good sign that an app isn’t legitimate. Consumers should also be wary of any app that has no reviews or no history of previous versions.